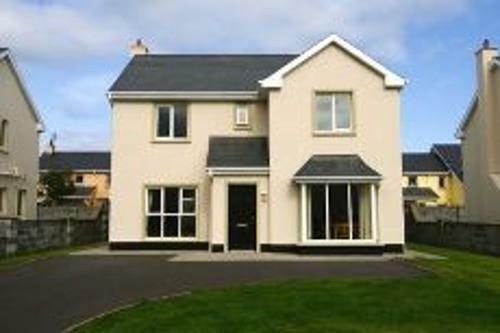 Doonbeg Holiday homes are located in the centre of the village and within walking distance of the White Strand beach. Doonbeg enjoys traditional Irish pubs of which some are highly renowned for their food. Doonbeg hosts the only 18 hole golf links designed by world player Greg Norman in Ireland. Famous Kilkee is only a 5 minute drive. Kilkee has numerous attractions which include waterworld and beautiful cliff walks. These self catering holiday homes have a spacious living room, open plan kitchen / dining area and family bathroom on the ground floor. On the 1st floor there are 3 bedrooms, 1 double ensuite, 1 twin and 1 single. Bed linen is supplied, towels are available at an extra charge. Electricity is determined by a meter read and payable on site.